At Espresso Doctor, we are as passionate about coffee as our customers are. That is why we are proud to offer some of the leading brands of equipment in the world to people and businesses across Brisbane. As a local leader in La Marzocco coffee machine sales, repairs and services, we are known for our reliability and dedication to quality. This reputation is one that we work hard for, ensuring that every customer receives outstanding service and solutions no matter how big or small the problem might be. 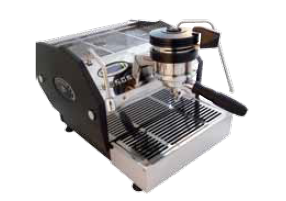 At Espresso Doctor, we understand that any problems with your equipment can be stressful and highly expensive to your business. This is why we endeavour to provide the most efficient yet reliably effective coffee machine repairs in the Brisbane area. This type of service is made possible by the years of expertise our staff have in the industry, making us the reliable choice when it comes to fixing any problem. 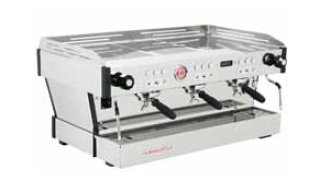 As a premium brand of equipment, La Marzocco coffee machine repairs should be done by experienced professionals. At Espresso Doctor, we can provide you with this type of high quality service, finding coffee machine parts that are the reliable fit for your product. To ensure that your equipment maintains its durability and longevity, we also highly recommend a regular coffee machine service. Just like your car, these products need to be taken care of and maintained to ensure that you get the most out of them. Doing so will prevent damages and repairs and will catch problems before they arise, allowing you to save money on fixing problems that usually come from overuse and underservicing. We are committed to offering our Brisbane clients the most comprehensive range of La Marzocco machine sales, repairs and parts solutions along with other premium brands such as Delonghi. Our service is known for its quality and efficiency, helping commercial and residential customers alike avoid any unnecessary downtime or problems. If you are interested in any of our services, call Espresso Doctor today on 0402 790 790.